Lewis Hamilton is one of those guys who could be sitting at the table next to me in a restaurant and I'd be wracking my brain to figure out how I knew him. Was he a celebrity? Wasn't he in that show I just binged on Netflix or something? Did we go to college together? Does he go to my gym? It would drive me insane, and I'm not sure I'd ever land on the correct answer. And that's the beauty of being an Formula 1 racing star. You're one of the most famous and highest-paid celebrities on the planet, but in the US, you can probably go to dinner and a movie in a major city without being noticed. Meanwhile, if he walks down the block in any European city, a parade of gawkers trails closely behind. That might explain why Lewis is planting some seriously expensive and impressive real estate roots in the United States. 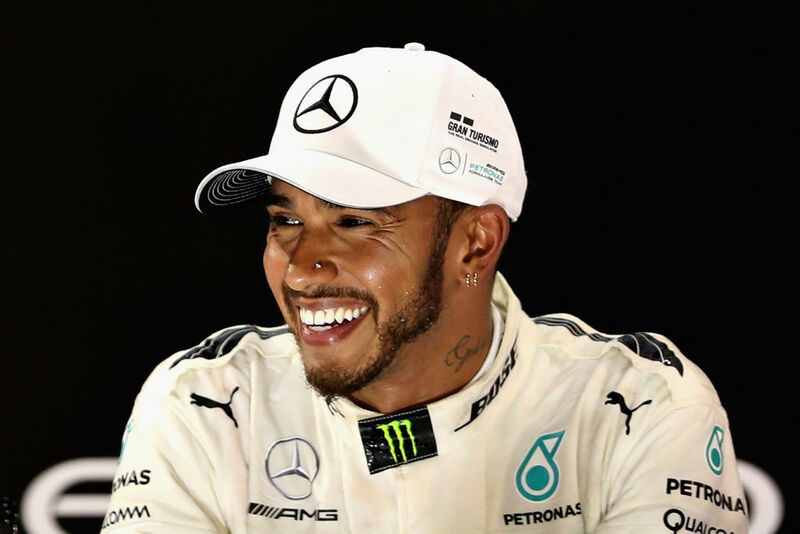 And btw, for American readers who aren't totally familiar with the 34-year-old Lewis, he's one of the most successful and popular Formula 1 drivers on the planet. He won his fifth F1 title last year in Mexico. He is only one of three drivers in history to win that many titles. In 2015 he signed a new contract with Mercedes-AMG that pays him $44 million per year. With other endorsements, Lewis earns $50 million ever year. We currently estimate Lewis Hamilton's net worth at $285 million. The Wall Street Journal was first to report that Lewis just closed on a penthouse apartment in New York City. The purchase price? $40.7 million. The 6,500 square-foot apartment (not including 3,000 square feet of outdoor space) is located at 70 Vestry Street in the Tribeca neighborhood of Manhattan. Tom Brady and Gisele Bundchen also own a unit in the same building. When not enjoying unobstructed views of the Hudson River from their ridiculous homes, residents can enjoy the building's 82-foot-long pool, fitness center, library and squash courts. Lewis' recent real estate purchase comes less than two years after he spent $43.991 million to buy a different Manhattan penthouse just a few blocks away at 443 Greenwhich Street. So all-in, Mr. Hamilton now owns $84.691 million worth of NYC real estate. FYI, his annual property tax bill alone for the two properties will be $680,000. So he'll have to set aside $1.4 million ever year, pre-tax, just to cover that bill. I guess that's easy to do when you make $50 million per year. Turns out there are certain perks associated with being a two-time Formula One world champ after all. And one of them has been experienced by two-time Formula One champ Lewis Hamilton. Nicole Scherzinger net worth: Nicole Scherzinger is an American recording artist and actress who has a net worth of $12 million dollars.